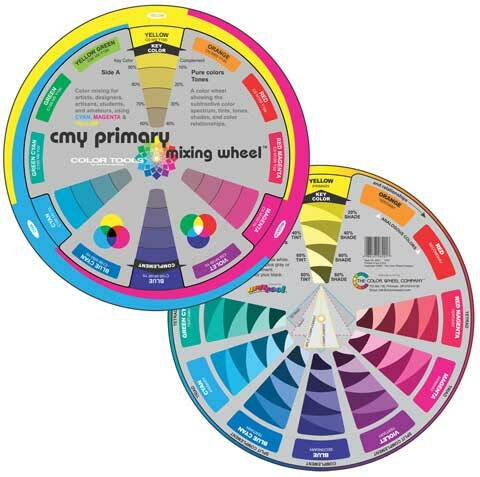 CMY Primary Mixing Wheel Color Wheel Co. The CMY Primary Mixing Wheel shows how to form secondary and tertiary colors from primary pigments (cyan, magenta and yellow). It also illustrates tints, tones, and shades of the 12 primary, secondary and tertiary colors on the wheel. Useful for learning and understanding color theory, it illustrates color relationships and harmonies. It also gives a scientifically accurate description of colors based on cyan, magenta and yellow pigments.